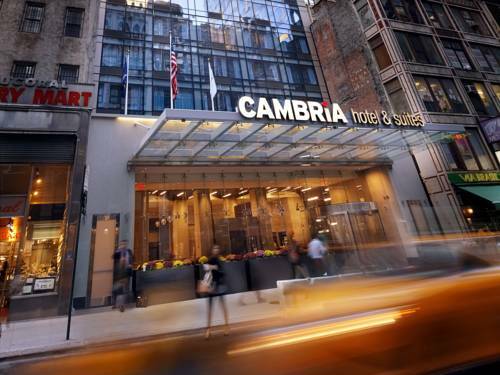 You are always a VIP at the Cambria hotel and suites New York - Times Square hotel in the heart of Little Brazil within walking distance to all of the Big Apples juiciest hot spots, including Rockefeller Center, Carnegie Hall, Herald Square, Museum of Modern Art and Grand Central Station. Enjoy personalized services and all the amenities you need for business travel like bistro dining at Social Circle, a business center, meeting rooms, free WiFi and an exercise room. Your modern, stylish room offers amenities like coffee makers, desks, microwaves, refrigerators, private bathrooms and flat-screen TVs. Earn rewards with every stay with our Choice Privileges Rewards program.